Distributor Pricing Available Call Us! Adding custom barricade signs to the Billboard Barricade can help generate revenue, increase safety, provide direction, and build brand awareness. Our high resolution, full-color custom graphics can be printed on corrugated plastic (Coroplast®) or expanded PVC (Sintra®), both of which can stand up to weather just as well as our barricades do. Many of the organizations who use our crowd control barriers have been excited to see their barricade signs draw so much attention. Festivals like the Utah Arts Fest use custom crowd control barriers not only to showcase sponsors but also to define specific areas and provide direction. 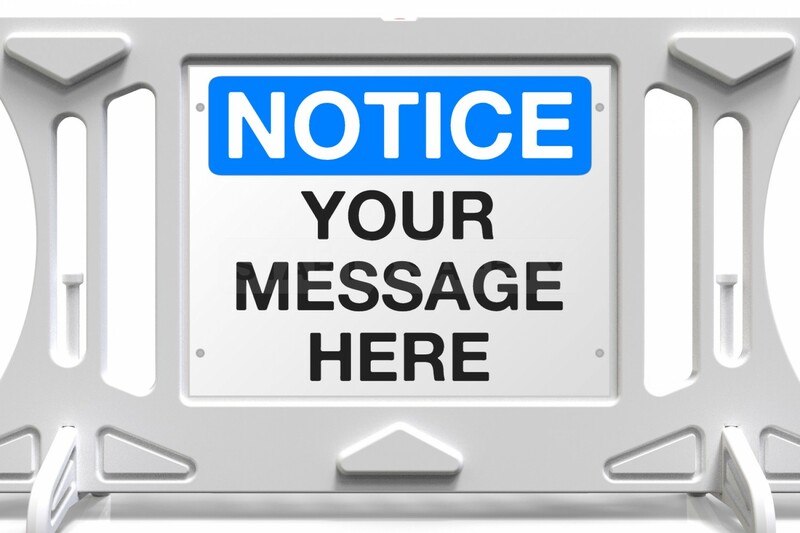 Zoos around the U.S. use custom barricade signs to advertise exhibits and shows or direct pedestrian traffic away from construction zones.